One of Hoiio’s first products was the Main Line, an app that lets businesses sound established with an automated attendant, no matter what size they are. We believed that such a tool is the core of a suite of telephony solutions a company would need. We also believe in beefing up our creations as our capabilities grow, so we have developed a new business line app that not only encompasses the functions of Main Line, it comes with better features to help you achieve even more. Adopting the block design, Virtual Line allows you to set up your business line according to exactly what you need. 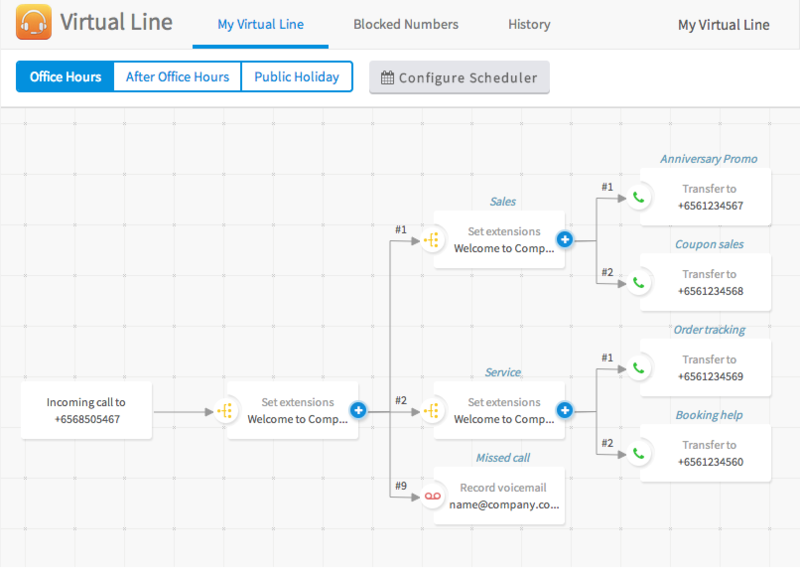 Use Virtual Line to forward calls to your preferred number or set up an interactive voice response menu with unlimited extensions, and even create multi-tier extensions if you so require. The configurations are virtually unlimited. 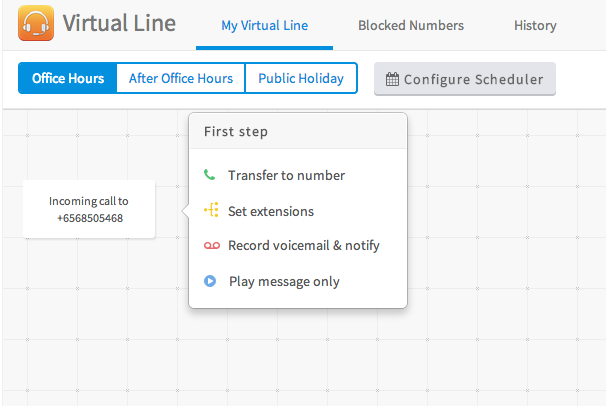 In fact, we are suggesting two ways you can use Virtual Line to solve real business problems. Take a look at the first and second here. As of today, Virtual Line will be replacing Main Line and is available for subscription on the App Center without any price increase. If you would like to try out Virtual Line, click here to get started. For our current Main Line users, we’re sending you an email with more details on migrating to the new app. We’ll do our best to ensure the move is as seamless as possible. If you have any enquiries, please feel free to contact us at sales@hoiio.com!